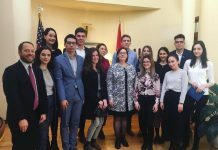 During International Education Week 2017, the alumni community of Southern Kazakhstan held a series of events in celebration of the joint initiative of the U.S. Department of State and the U.S. Department of Education. 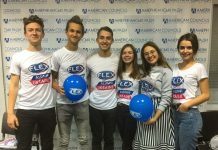 One of the events with the most impact was a Debate Tournament in Almaty organized for FLEX Alumni and members of the Zhiger Youth Organization for People with Disabilities. 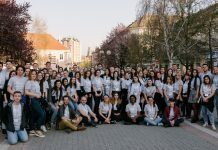 The primary organizers of this event were Alumni Coordinator Bibinur Zhamaliddenova ’15 (Aktau, Kazakhstan/Madison, OH) and University Representative of KIMEP University Zhibek Kozhakhmetova ’17 (Almaty, Kazakhstan/Henderson, NV). In Kazakhstan, debating is popular among young people; it helps them develop their critical thinking and a decision-making skills, structure their thoughts, and get out of their comfort zones. 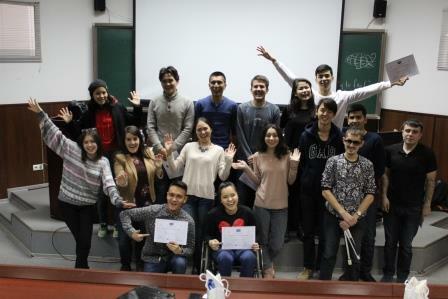 However, even though debates are popular in Kazakhstan, organizers realized that there are not many young people with disabilities participating in debate tournaments, thus the main concept of the tournament was “inclusiveness”. Through discussions with the Intellectual Debate Club of KIMEP University, we coordinated the rules and format for a debate tournament involving three blind and two visually impaired students from Zhiger, five high school students, and 5 FLEX alumni (including alumni with special needs.) 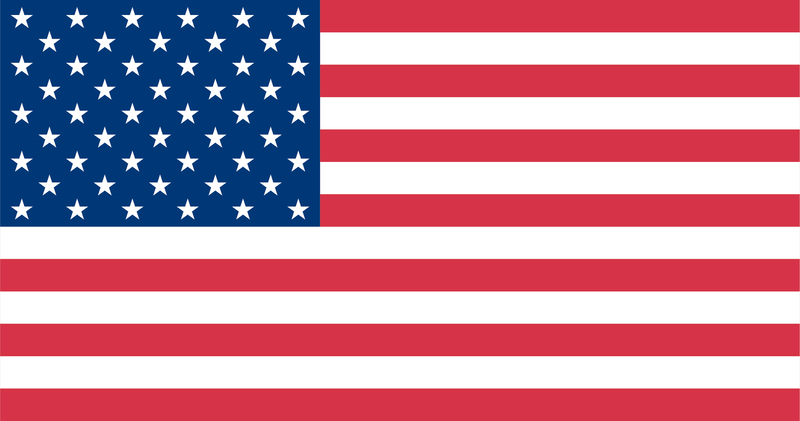 The participants were divided into two groups in order to replicate the American Parliamentary system. 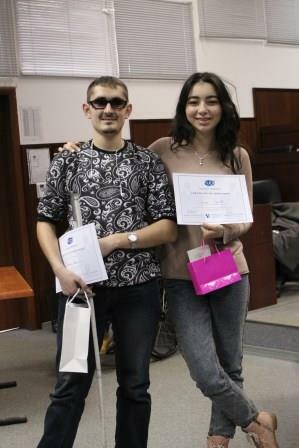 Zhibek Kozhakhmetova ’17 served as the lead trainer of the introductory session of the tournament while FLEX recruiter Victoria Pardini served as a judge along with experienced members of the Almaty Debate Center. The topic of the tournament was “International Education”, as it took place during International Education Week 2017. The first round provided for discussion on the topic of schools uniforms and their impact on the education process. 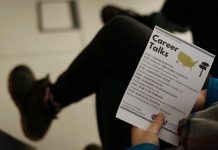 The second round delved into the topic of international higher education and whether students should return to their home countries upon receiving a higher degree. The last of the topics questioned whether the transition of the Kazakh alphabet from Cyrillic to Latin is a step forward or backward in education. “It was my first time conducting such an event and I was very nervous. So much time and effort has been put into this tournament, but the results were truly astonishing. It was incredible to see every single person who came to the tournament grow as a person and as a debater,” says Zhibek Kozhakhmetova ’17. 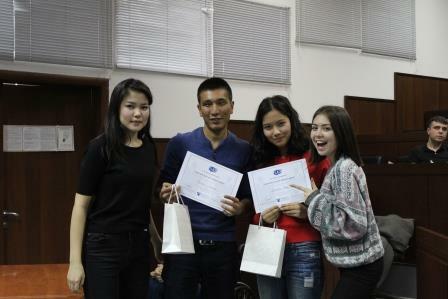 Prizes were awarded to the winning team and the best speaker; all of the participants received a certificate. The tournament was a truly productive and unique experience for the participants, organizers and judges alike.